Garry Williams, Lykourgos Porfyris and Regine Stensæt Josefsen. 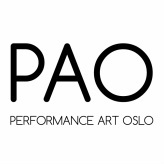 Performance Art Oslo presents: Upstream. The participating artist are showing commissioned performances along the Akerselva river during Kulturnatt Oslo. Upstream critiques appropriate adult behavior in the public space and suggests how humans must question their normal patterns in order to preserve ecological resources such as water. Can performance art enrich the public realm? PAO working team: Kirsty Kross and Fernanda Branco.